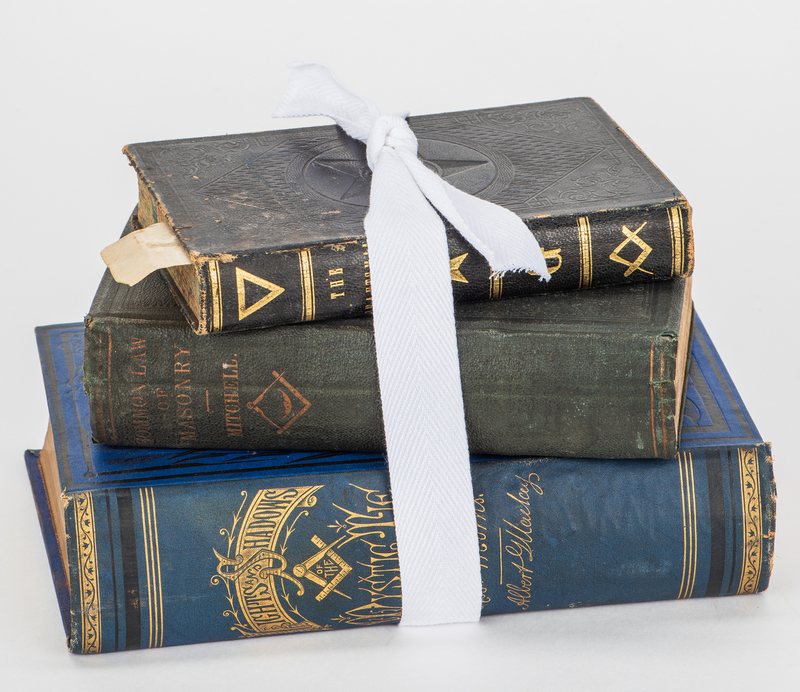 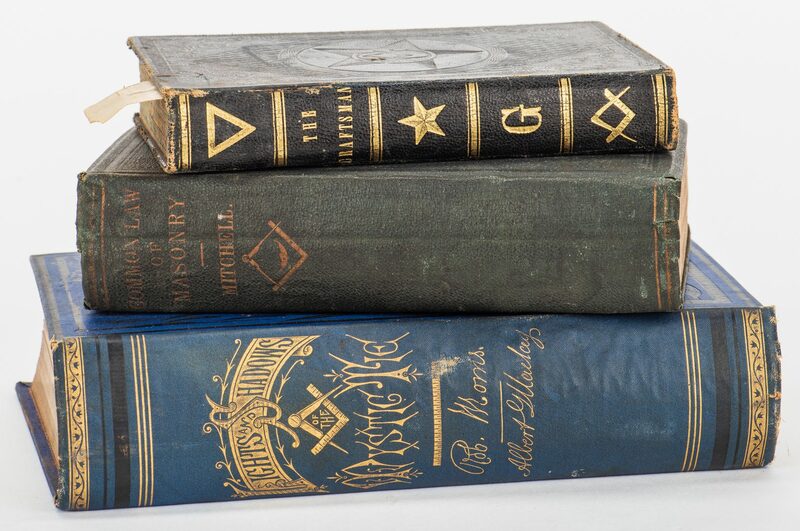 Three (3) Masonic related books. 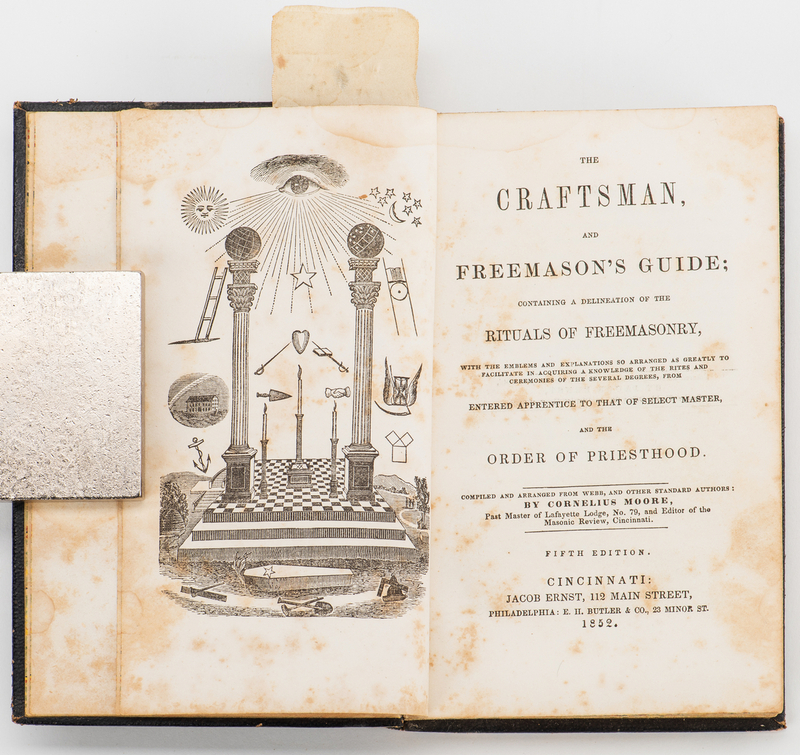 1st item: The Craftsman, and Freemason's Guide, 5th Edition, by Cornelius Moore, 1852. 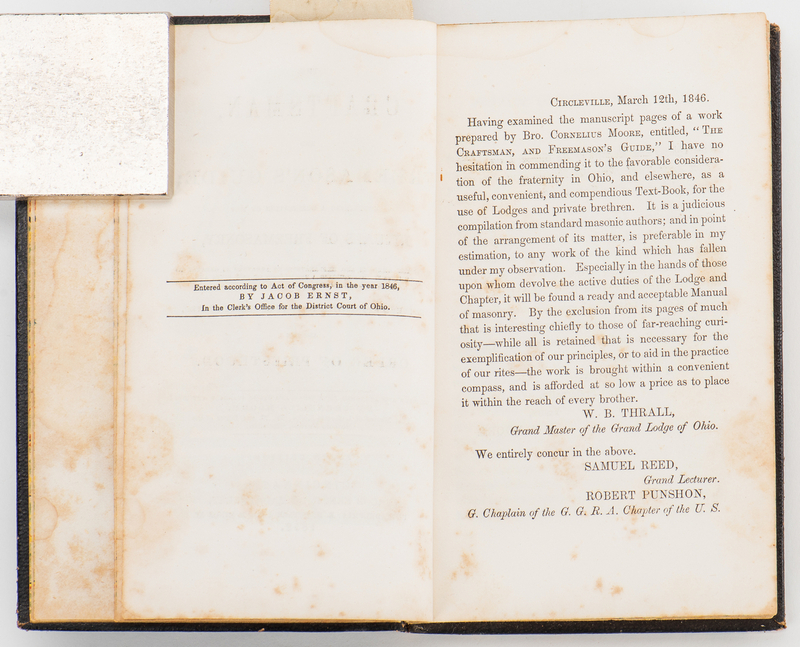 Published by Jacob Ernst, Cincinnati. 317 pages with illustrations, steel engraved frontispiece, hardbound in tolled black leather cover with gilt lettering and pictorial design front cover and spine, marbled edge paper. 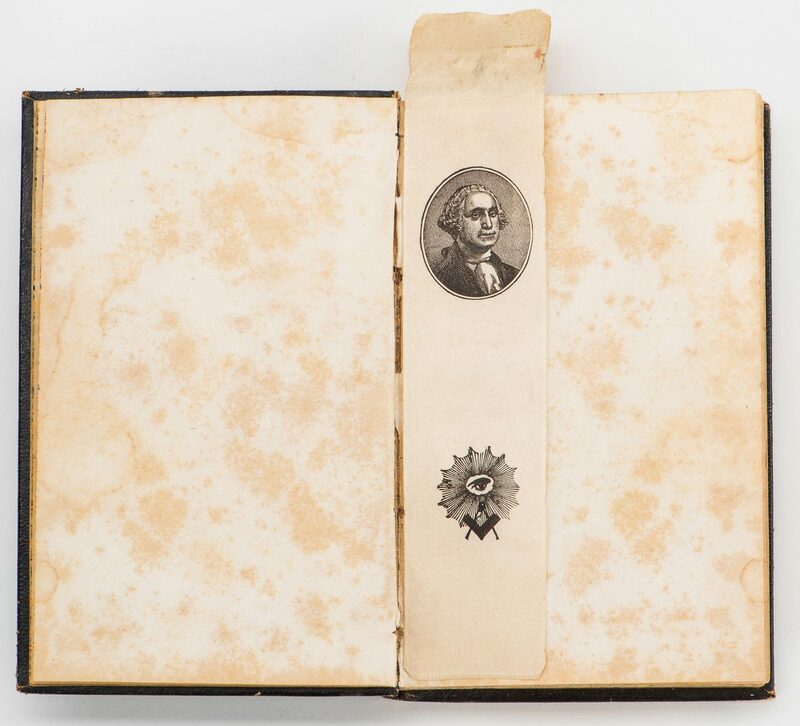 Include while silk bookmark with depicting the portrait of George Washington with the images of a masonic compass symbol and an eye. 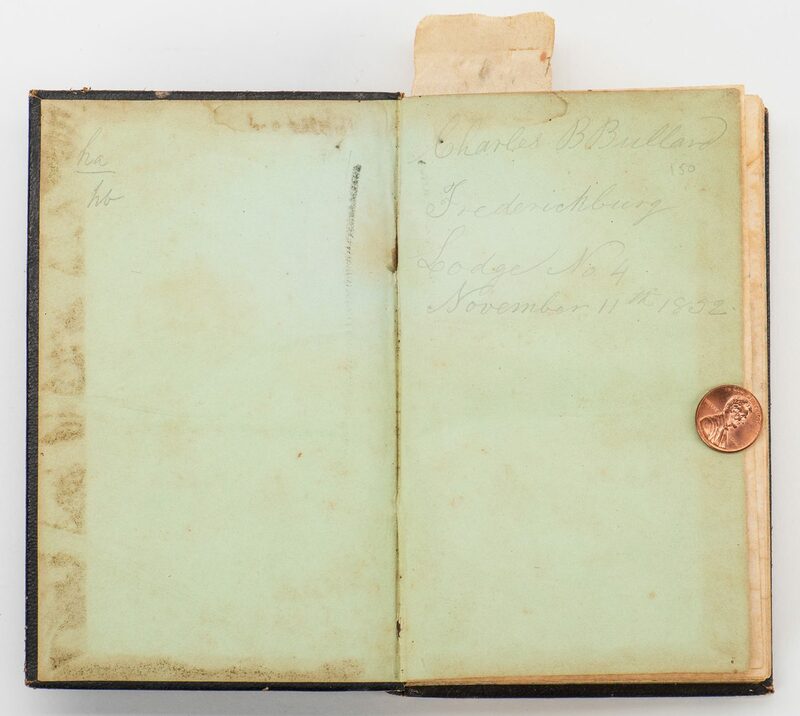 Pencil inscription from previous owner reading "Charles B Buillard Fredericksburg Lodge No 4 November 11th 1852" to green front end paper. 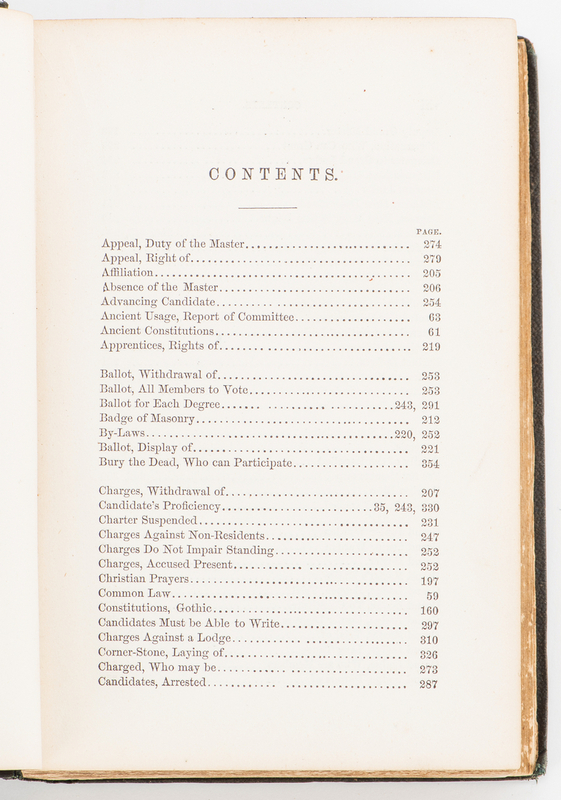 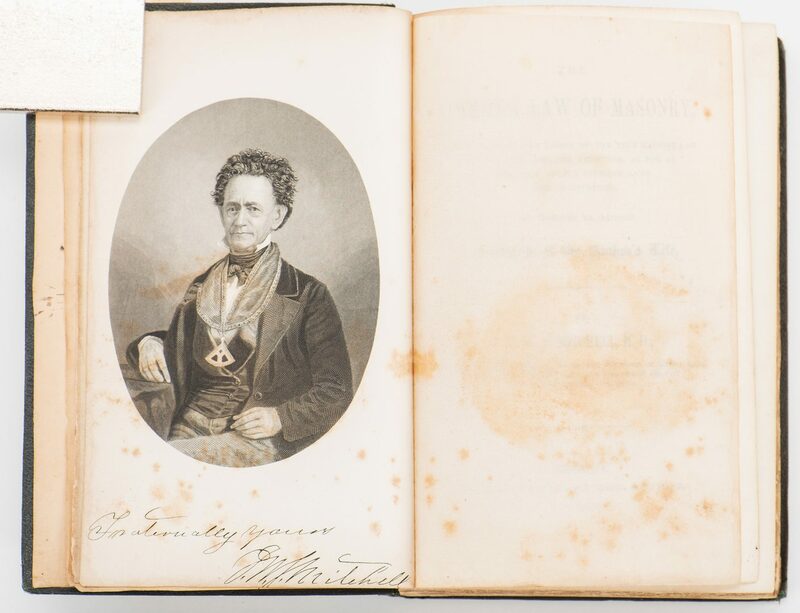 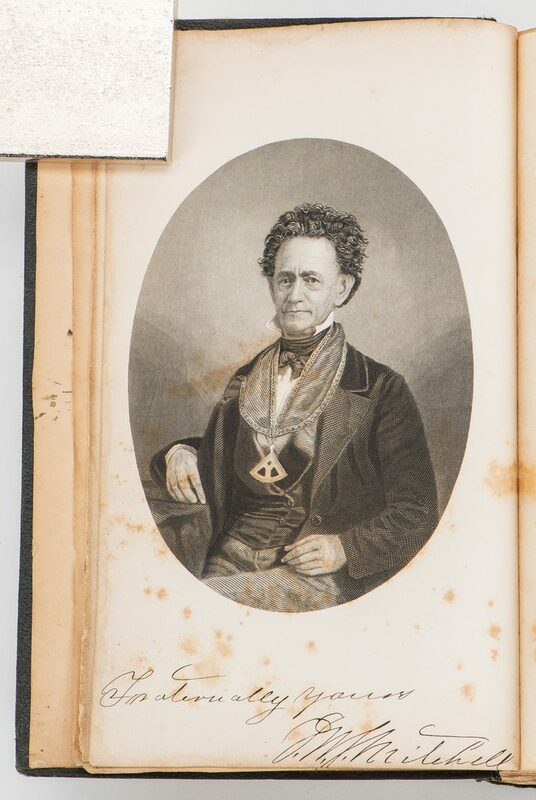 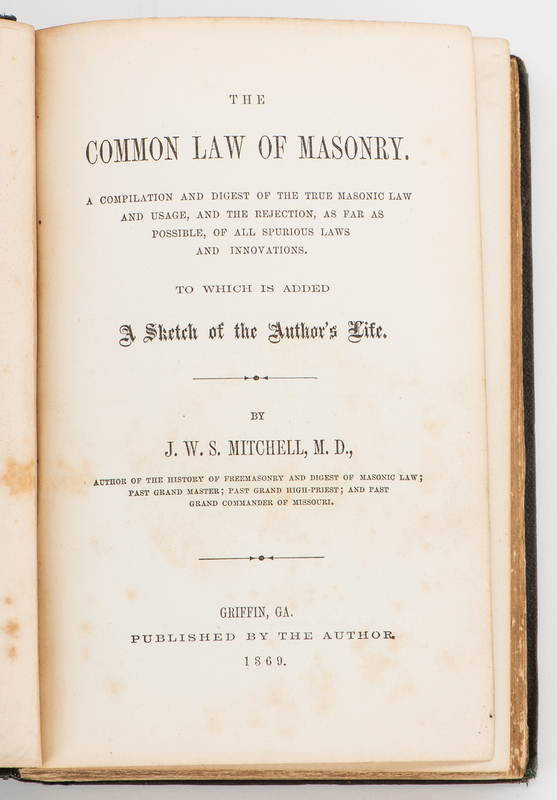 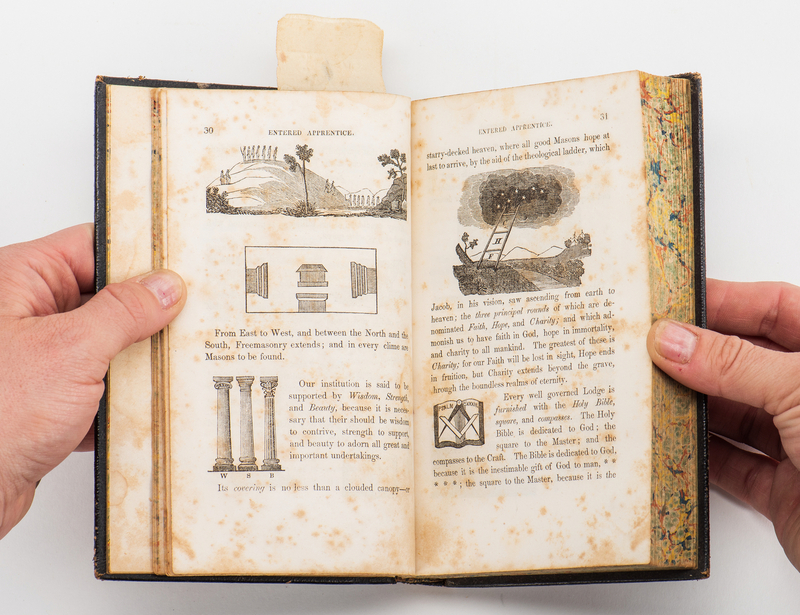 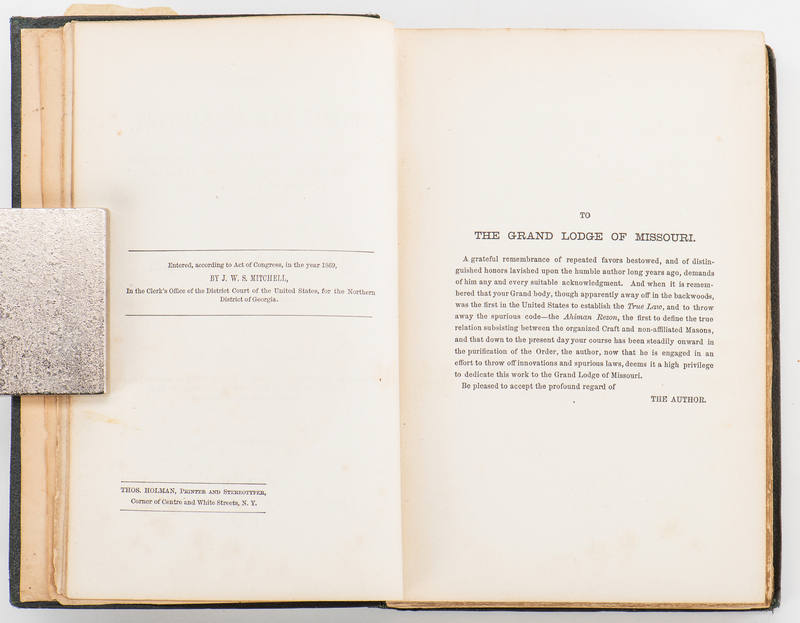 Book – 6 3/4" H x 4 1/2" W x 1 1/4" D. Bookmark – 7 1/2" H x 1 3/4" W. 2nd item: The Common Law of Masonry by J. W. S. Mitchell, 1869. Published by the author, Griffin, Georgia. 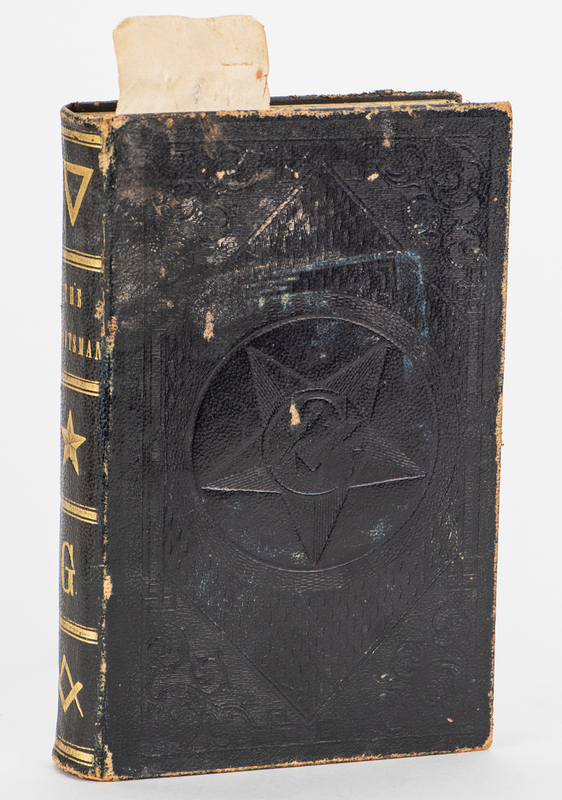 Octavo, 504 pages, steel engraved frontispiece, hardbound in tooled green pebbled cloth covers with gilt lettering and pictorial design front cover and spine. 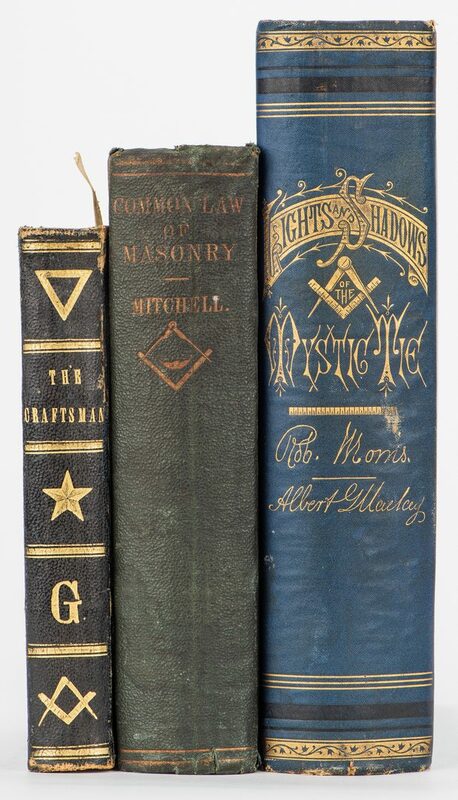 7 3/4" H x 5 3/8" W x 1 7/8" D. 3rd item: Lights and Shadow of the Mystic Tie by Robert Morris and Albert G. Mackey, 1878. 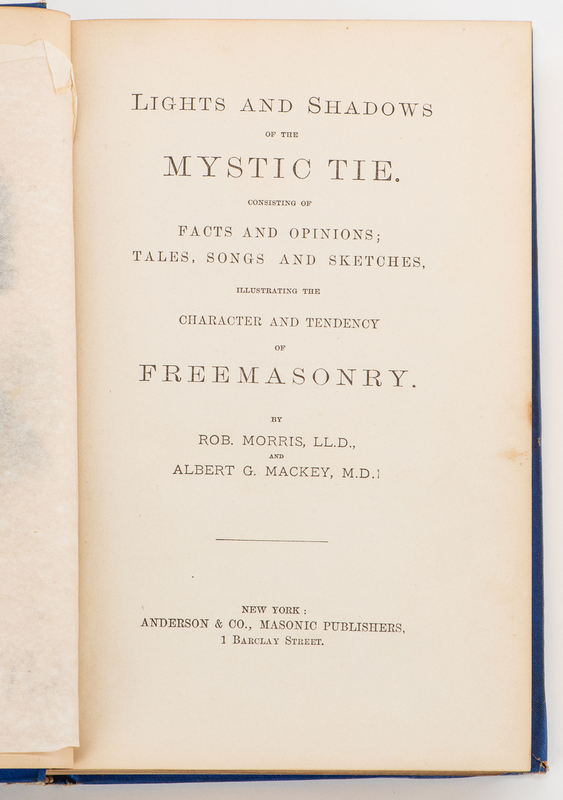 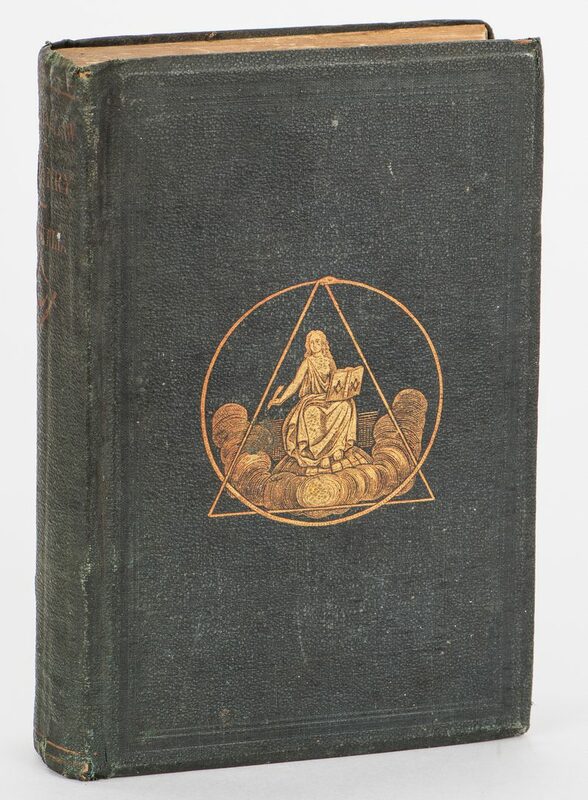 Published by Anderson and Company, Masonic Publishers, New York. 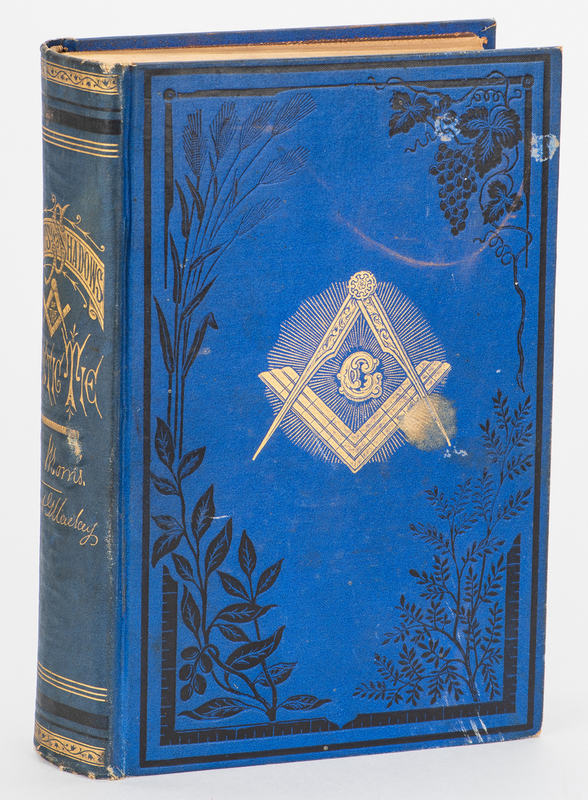 Octavo, 624 pages including index and illustrations, steel engraved frontispiece, hardbound in tooled blue cloth covers with gilt and black lettering and pictorial design to spine, gilt edge paper. 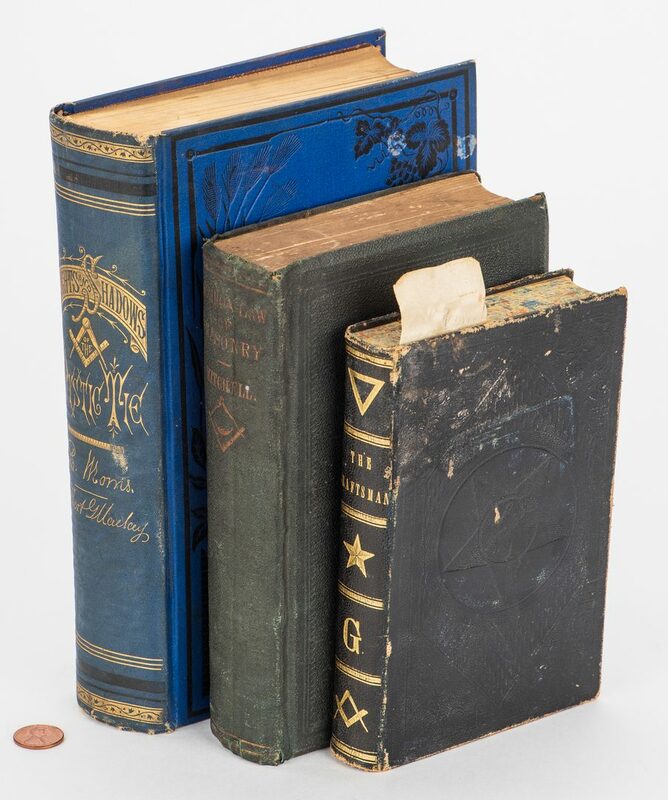 9 1/4" H x 6 5/8" W x 2" D. Provenance: The collection of internationally known ragtime pianist and historian Johnny Maddox, Gallatin, TN. 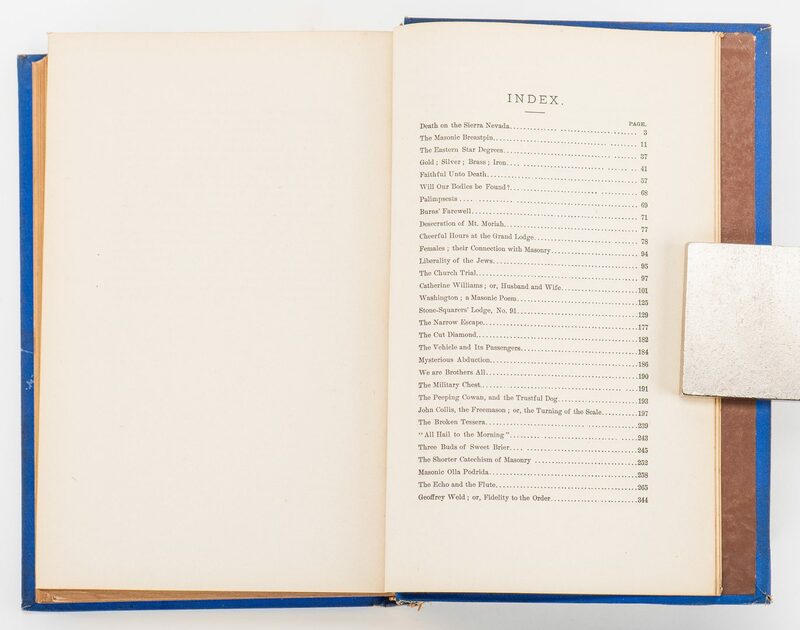 CONDITION: 1st item: Overall good condition with fading, shelf wear, bumped corners, stains, etc., to covers. 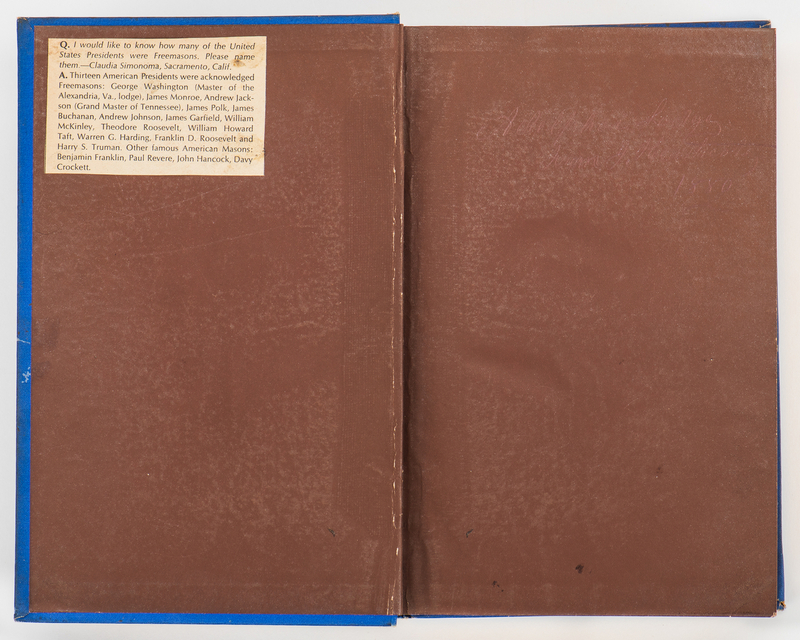 Heavy foxing spots, areas of dampstaining to majority of pages including frontispiece (does not affect legibility). 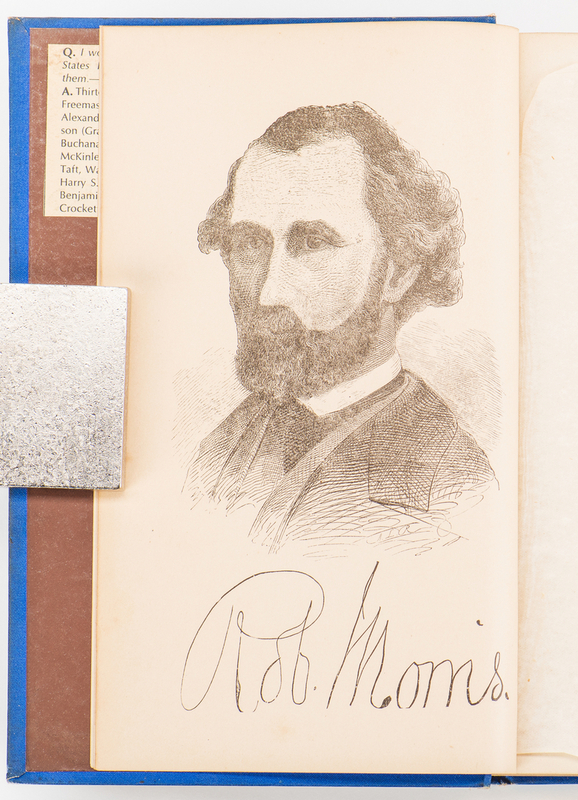 Book mark in good condition with 1 1/4" x 1 3/4" area of dampstaining and 1/4" area of fraying to top section. 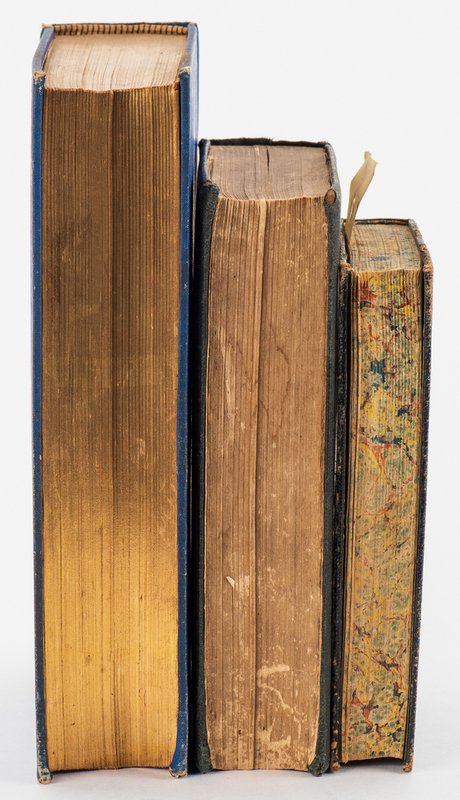 2nd item: Overall good condition normal to covers. 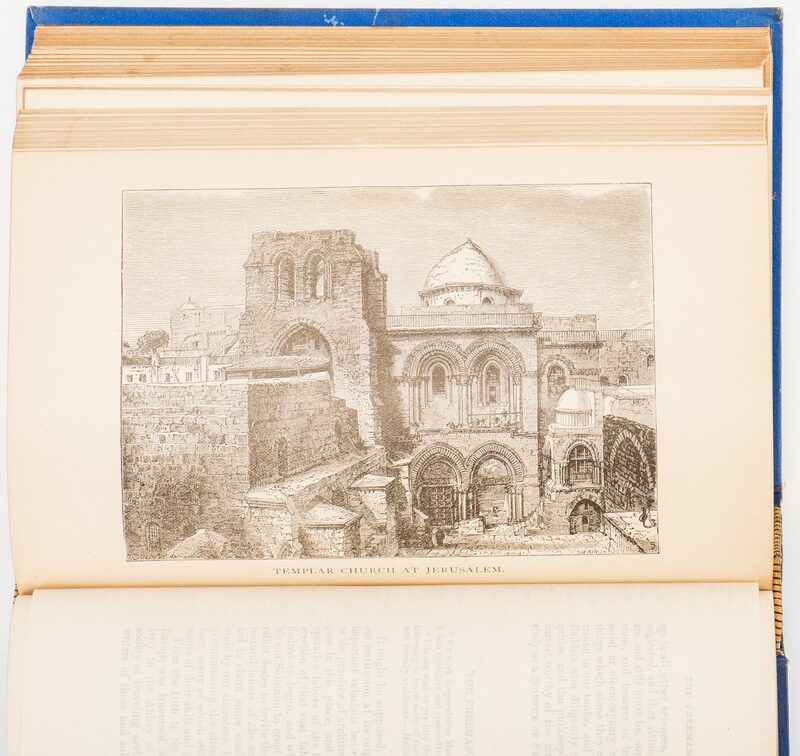 Pages in overall very good condition with some foxing spots, areas of toning, stains, to first and last few pages including frontispiece. 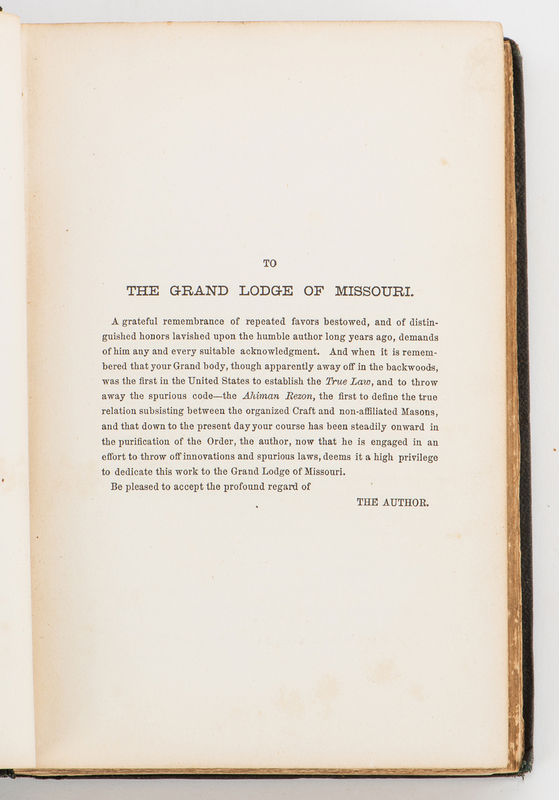 Majority of pages in overall good condition. 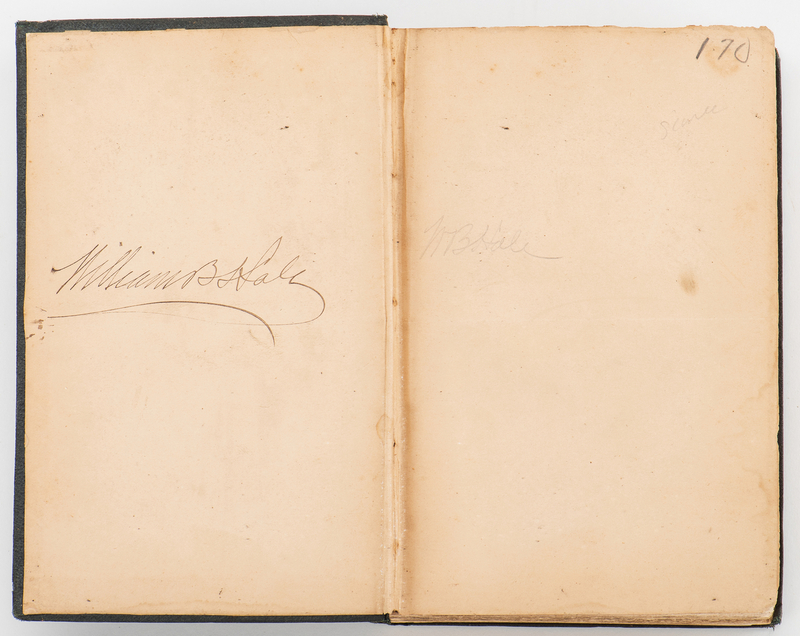 Ink and pencil inscriptions from previous owner, inside front cover and front end paper. 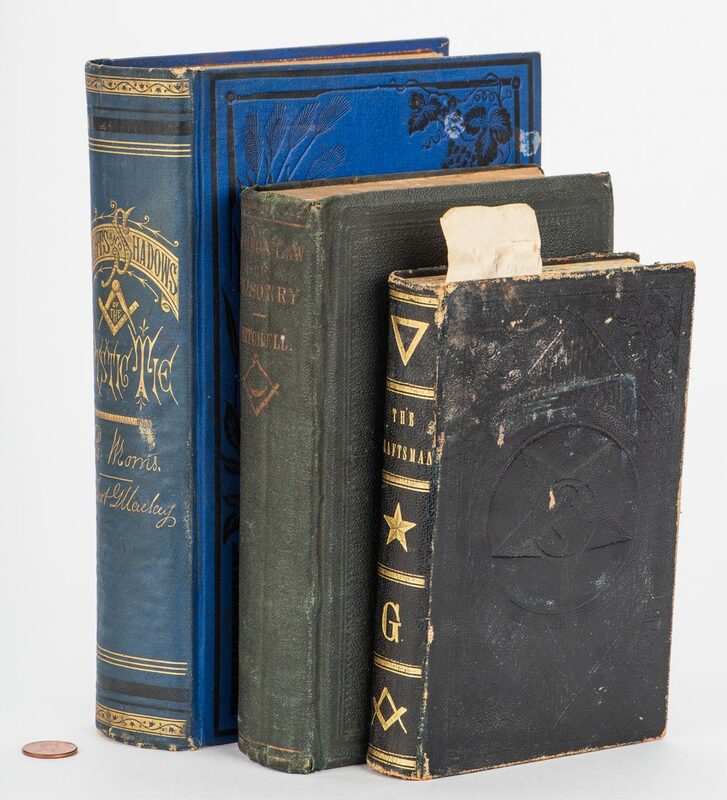 3rd item: Overall good condition with fading, shelf wear, bumped corners, stains, etc., to covers. 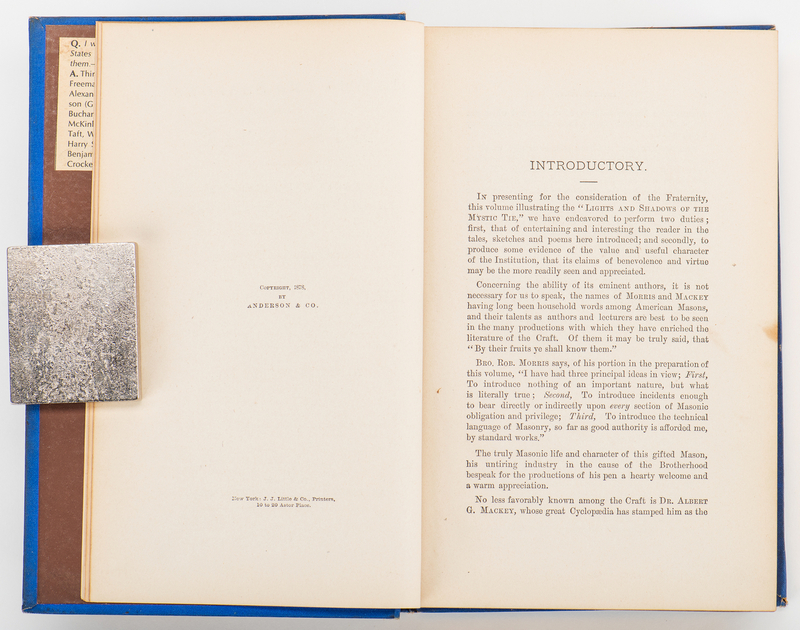 Pages in overall very good condition with some foxing spots, areas of toning, stains, to first few pages including frontispiece. 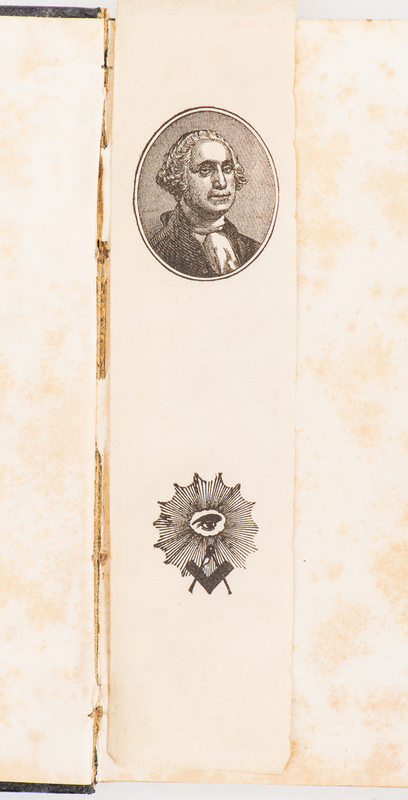 Magazine clipping about Masonic US Presidents, pasted inside of front cover, pencil inscription from previous owner, front end paper.